The company name GEWI was created by using the first two letters of each of the partner’s family names. GEWI originally designed programmable hardware for global television manufacturers such as Sony and Grundig and in 1993 GEWI produced one of the world’s first RDS-TMC FM receivers for collecting traffic data. 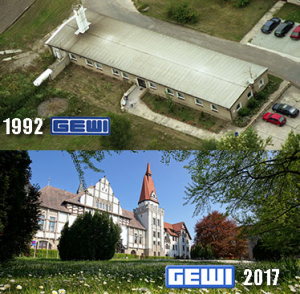 GEWI’s main office is in Bernburg, Germany but it was announced that a new office will be opening soon in Leipzig Germany. GEWI also has offices in the United States, Singapore and the United Kingdom to sell and support the TIC Software which is now used worldwide.